this is the same room that was already uploaded, isn´t this? Finally the long awaited official update to Android 7.0 for K6000 Pro. Thanks! Why Google Assistant isnt working for me? anyone with the same problem? 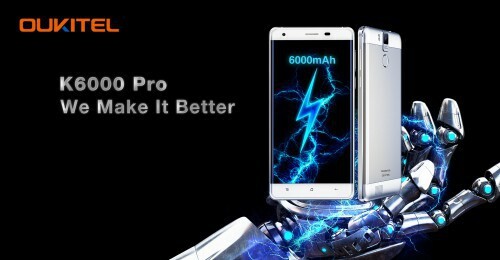 Hi, I installed the new official ROM (7 Nougat) on my Oukitel K6000 Pro last night. The phone works very well but I only encountered one problem: as soon as I try to connect it to my home wifi network, the device enters the loop turns off and reboots continuously, infinitely. According to you how I can solve the problem. Hi. install the rom again But you should backup all your data will be lost and remember your gmail account because the nougat version has a anti theft mode . 2- in the welcome Secreen Select Format then click Start turn your device off and connect it with your computer and the flash will begin after complet. 7- connect your device and wait the progres bar to complet.